Yoga and running have a lot in common, in a way that both require practice, agility, flexibility, patience and your own breathing method. 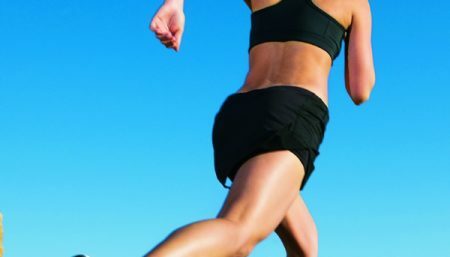 Runners, more than often complain of sore feet, bad backs and knees, tight hamstrings and hips. Yoga has the ability to help all of us get better – better in terms of healing and rehabilitation, better in terms of strength and flexibility, better in terms of the elimination of pain. Yoga teaches that the foot should be engaged and considered as a weight-bearing tripod. The center of the heel, the ball of the big toe, and the ball of the pinky toe are the three points and weight should be distributed evenly between them. The arches should be lifted and the toes relaxed. A very simple one-footed balancing pose, vrksasana, develops this awareness and is extremely helpful in eliminating ankle roll injuries. Downward-Facing DogFrom a position of all fours, lift the buttocks up toward the ceiling. Elongate the spine, and straighten the knees, and push the heels toward the floor as much as you can without forcing. Lift the wrists. Move the abdominal muscles in and keep them firm; drop your head toward the floor and let it hang loosely. Release after three breaths. TreeStand with your feet parallel. Bend your right knee and place your right foot as high as possible on your left inner thigh. Press your palms together in prayer position. Hold for three breaths. Release and practice on the opposite side. TriangleStand with your feet three to 3 – 3.5′ apart. Turn your left foot in 30 degrees and your right foot out 90 degrees. Be sure that your right heel is in line with the arch of your left foot. Bring your hands into a T position and take a deep inhalation. Exhale and move your pelvis toward the left as you extend your torso to the side and over your right leg. Place your right hand down on your shin and stretch your left arm vertically overhead, palm forward. Turn your head to gaze softly at your left thumb. Hold for three breaths. Release by coming back to standing and practice on the opposite side. Bound AngleSit straight and tall. Bend your knees out to the sides and place the soles of your feet together with your feet as close to your body as possible. Lift and lengthen your spine. Relax your throat. Relax your eyes. Inhale, do nothing. Exhale, soften and release the groins. The more you can soften the groins, the more the legs will release downward. Sit quietly without straining the thighs for two to five minutes breathing evenly. To release, straighten one leg at a time. Sukhasana: Simple Cross Legged PoseExhale and bring the ankles in toward the groins. Use your hands to move the feet under the thighs so that the soles of the feet are inline with the outer thighs. Rest your hands on your knees. Do not collapse your lower back but lift your spine on exhalation. Balance evenly on the front of your sitting bones. Keep your chin parallel to the floor and your eyes and throat soft. Hold for fifteen seconds. Just sitting crossed-legged rotates the thigh bones, stretches the inner thighs, and flexes the knees. For beginners that are uncomfortable on the floor at first, sit on the edge of firmly bolded blankets or on a cushion. 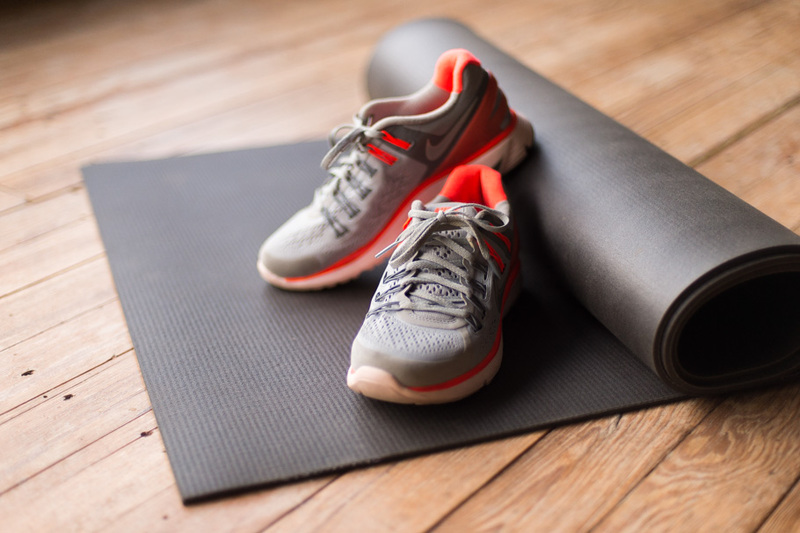 Runners can use yoga practice to balance strength, increase range of motion, and train the body and mind. Asanas move your body through gravitational dimensions while teaching you how to coordinate your breath with each subtle movement. The eventual result is that your body, mind, and breath are integrated in all actions.